The International 8 group stages kicked off today in a less than ideal fashion. The first few hours of the Twitch stream were rife with production issues ranging from out-of-sync audio to the streams crashing. These two clips below should summarise the experience fairly well. Headphone users beware. Thankfully, the issues were fixed later and the experience was much more bearable. 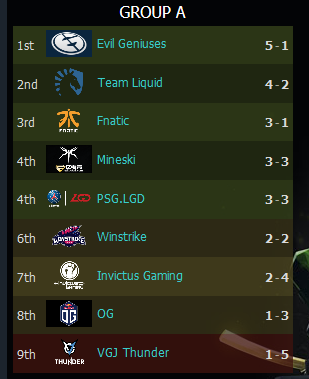 Now, let’s take a look at where each team stands at the end of day 1. The beacon of NA DOTA EG took Group A by storm today by making easy work of all opposition. Their performance was flawless save for the single game they dropped to IG. Team Liquid managed to salvage the day at 4-2, despite their devastating 39-1 loss to Fnatic, who has had an impressive tournament run so far along with Mineski, their south-east Asian counterparts. PSG.LGD’s results have been a tad underwhelming, considering that the squad has historically dominated the group stages in previous TIs. The bottom half of the table isn’t surprising in the slightest as OG is yet to find its footing with its new roster. The fact that OG had to square off against Liquid and PSG.LGD didn’t help the team’s morale in the slightest. In Group B, EG’s arch-rivals VGJ Storm are yet to drop a game and are on the top of the chart. 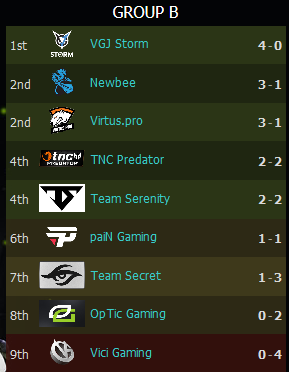 Virtus.Pro and Newbee performed as expected, losing a game only to Team Serenity and paiN Gaming respectively. Team Secret has had a rough start to the tournament as they only managed one victory against Team Serenity. OpTic Gaming and Vici Gaming are yet to win a single match. The future looks grim for Vici unless they dominate the rest of the group stage matches. There was a lot of DOTA played today, and it’s virtually impossible to watch it all. Here are some of the outstanding games that we think you must watch. All the videos below are highlight reels from NoobFromUA’s YouTube channel. For full VODs, check out the official DOTA2 YouTube and Twitch channel. The game is as the title suggests. It’s not often you get to see former TI winners get dumpstered to this level. For the first time this TI; a 5-position RTZ. Some of the highest-quality CIS DOTA from day 1. How to satisfy punks in two easy steps. Here’s why TNC is considered as a dark horse coming into TI8. I’ve saved the best for the last. 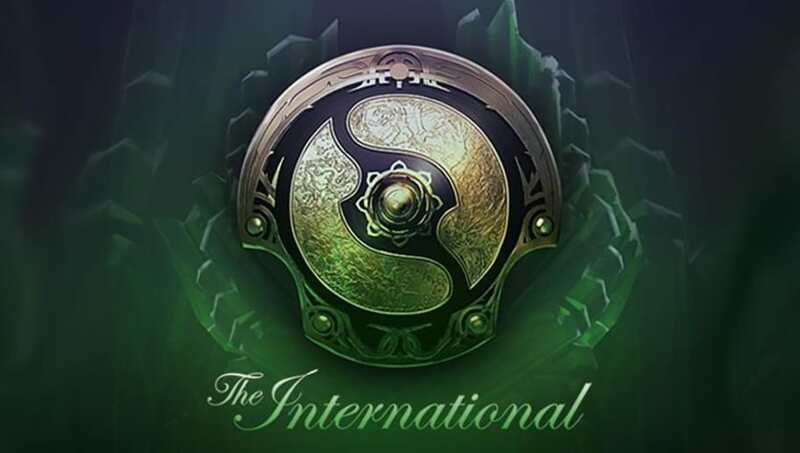 Easily one of the most entertaining series this TI so far. Production issues aside, day one threw a lot of people’s compendium predictions off as we saw a lot of unconventional heroes being picked. Some of the off-meta pics included Wraith King, Clinkz and Silencer. We also got some TI7 flashbacks, with Pugna and Necrophos making an appearance now and then. Lastly, Broodmother has come a long way from being a cheese pick by VP/Liquid to a solid mid-lane dominator.